Since become a mum sleep has been sparce, not only because you have tiny humans waking you regularly to inform you there sock fell off, but even when they are asleep i find myself laying there thinking about everything that hasn’t been done or needs doing or even what ifs, i saw this product and just had to try it and my gosh it was amazing i slept from 9:30 until 7.00 more sleep than i had, had in 4 years, i felt like i new women even my husband and children have noticed the difference in me, i also suffer with a chronic back condition causing pain allot of pain, this product has helped me sleep so well despite of all that i couldn’t recommend it any more! I struggle with anxiety and getting to sleep is a real chore when you have racing thoughts but these lovely little milks really help me relax and drift off much quicker. The chocolate is absolutely delicious and they’re the perfect size for a bedtime drink. Cannot recommend enough. 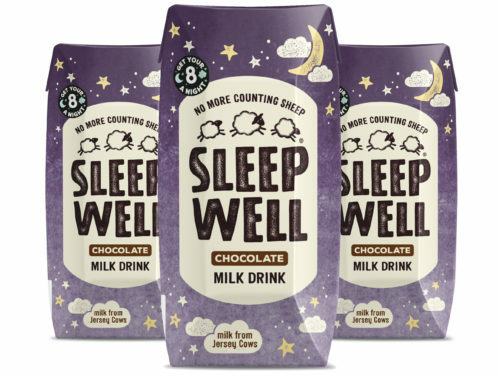 Tried the Sleep Well milk on a whim, suffering with insomnia & sleepless nights becoming my friend, I saw an advert & thought why not? Best decision I made! Within half an hour of drinking the milk, I slowly drift off into a deep sleep. I’ve been getting a full 8 to 9hrs sleep & I’m feeling more human for it!